11 March - 8 July 2017. 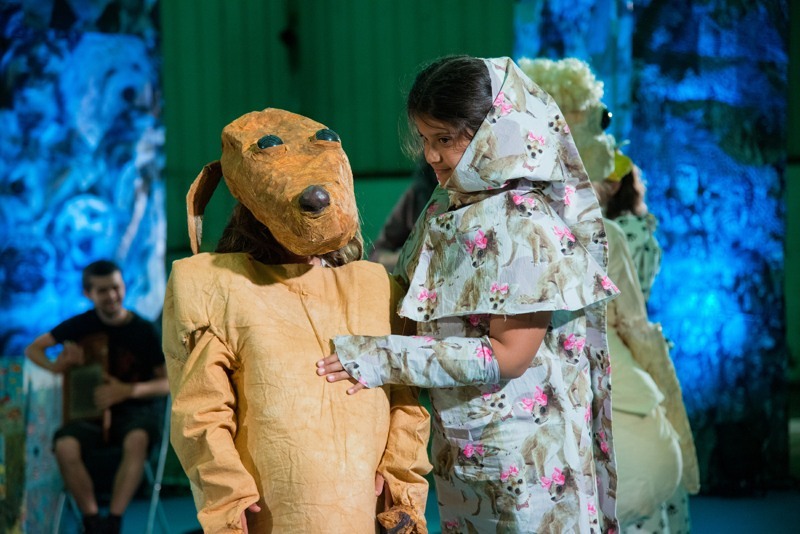 Enter the ‘razzy’ world of Dogsy Ma Bone, a spectacular production by Marvin Gaye Chetwynd made with and for children. In 2016, the Turner Prize-nominated artist worked with 78 young people from Liverpool to create a new film and performance, using the city as a backdrop to the action. Originally commissioned for Liverpool Biennial 2016, the work is inspired by Bertolt Brecht’s Threepenny Opera (1928) and Betty Boop’s A Song A Day (1936). At Touchstones Rochdale, the production is presented in its entirety, surrounded by hand-made animal costumes and props. Part of the Liverpool Biennial touring programme, which brings artworks by international artists presented at the 2016 festival of contemporary art to six arts organisations in the North of England. Image: Marvin Gaye Chetwynd, Dogsy Ma Bone, 12 June 2016 at Cains Brewery, Liverpool. Courtesy the artist and Sadie Coles HQ, London. Photo: Mark McNulty © Liverpool Biennial.